to see our latest changes. 07/20/18 We have more Friar Folk in stock. Check it out. 02/02/18 We are phasing out all of our hard resin poured molds and have discounted them while supplies last. 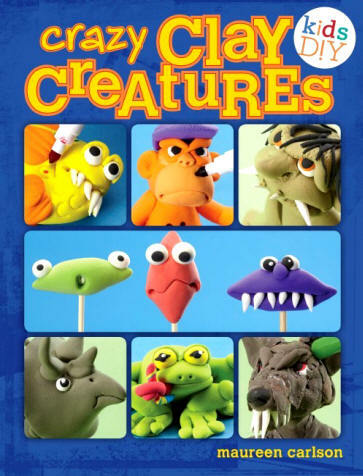 They are mold-2, mold-3, mold-5, mold-6, and mold-20. 11/22/17 Restocked Certain Friars and Sister Folk (first come first serve) Many have only one left in stock. 07/05/17 Two new songs: analyzed and in your mind. 06/24/17 Independence Day Sale 10% off all items, from 06/24/17 to midnight 07/04/17. 06/08/17 We have found more Sister Folk and Friar Folk in stock. First come - first serve. Mug Huggers have been reduced to $2.00 each. And Rubber Stamps reduced to $3.00 each. Also the deal of the day for a push mold has increased to 20% off. 03/12/17 Yet another song from Dan and Bruce: Dream children dream. 03/05/17 Two more songs by Dan, Controlled and Mystery Lady. 02/17/17 Another song, this time political, from Dan, Get out there and fight. Check out his other music. 02/15/17 Three new songs from Dan and Bruce Sundown-dream and Sundown-nightmare and Drink my supper. Check out his other music. 02/13/17 Two new songs from Dan and Bruce Watching and Waiting and Bazaar. Check out his other music. 01/10/17 The Santa Playshop is now offered as an online class or on 2 dvds (viewed on tv or computer). 12/28/16 A new Song from Dan and Bruce Battles. This one has special background music. Check out his other music. 12/10/16 A new Barbershop Song from Dan It's you. Check out his other barbershop music. 12/01/16 A new Song from Dan I love to talk. Check out his other music. 11/01/16 2 new Sister Folk. 04/07/16 Our push molds price discounts have changed. 02/06/16 Our foot moldf12f with 5 feet, top and bottom, is now available. Check it out. 01/18/16 Our 6 videos are now on Vimeo On Demand. Check out the previews and rent for $4.00 or buy for $16.00. 11/10/15 The prices of Moldb and Moldb2 have been reduced from $16 to $14 each or 2 molds at the same price for $13 each. Now you can buy any 2 or more of moldb, moldb2, moldf5, moldf4, moldf3, and molda for $13 each. Note: Please be sure to refresh your browser when you are at our home page to get the latest What's New. 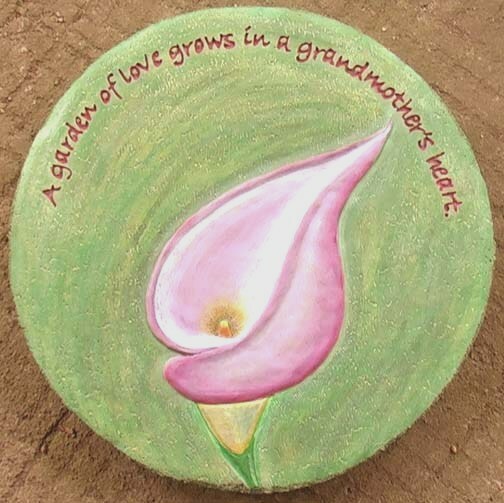 Also refresh when you are at our mold page to get this latest addition to our order process. 10/19/15 2 new Sister Folk New Sisters. 05/27/15 Our new (5) small hands mold is finished and available as item moldf11h. 04/22/2015 Dan sings many songs in acappella. 12/09/2014 Just finished converting the molds order list page to be media compatible. Hope you like it. 11/26/2014 For those of you who like to browse Etsy, please check out our Etsy Shop. 10/28/2014 We are re-designing our web site to meet the format of media such as smartphones, tablets etc. We'll be upgrading all the pages eventually. So try it out and let us know what you think. 10/08/2014 All of Maureen's books are now on sale. Remember...Maureen signs all her books. Keep your eyes on this page! Because of various requests, in the near future we will have a 3 inch, 2 part foot mold that will go with our face molds F3, F4, and F5. The R&D took a bit longer than we expected, but we are getting close to completion. 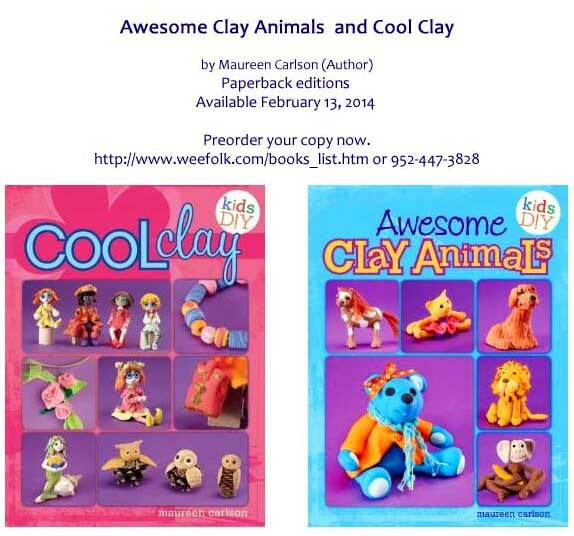 Maureen's new book is in stock early and we will still give a preorder discount until 02/24/14. So please order now. Maureen is teaching an . 2 new instructional YouTube videos on using our 2 part hand mold F6 and using our 3 inch face molds F3, F4, and F5. This book replaces the two books below it....due in 03/12/2014...preorder now and get 33% discount. 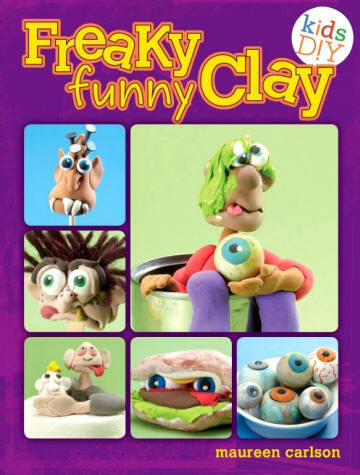 Note: These two books are being combined into one book: Clay Creation Workshop shown above. 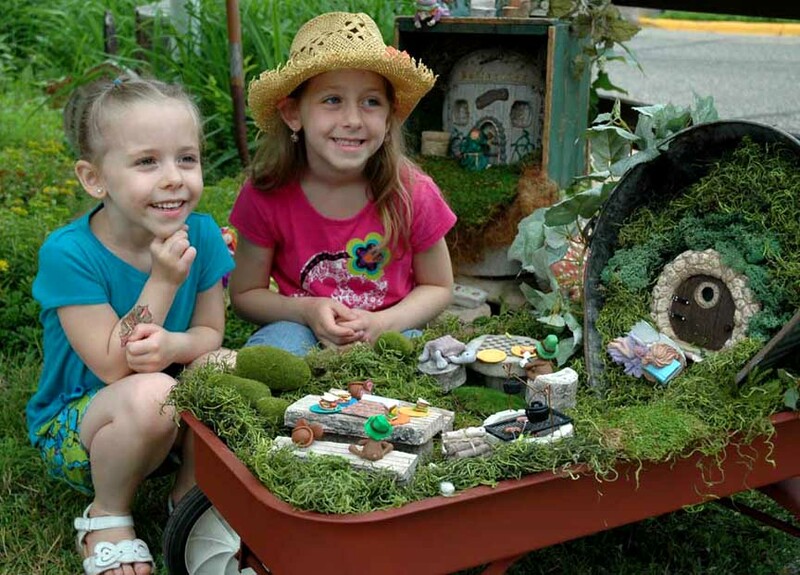 Making Fairy Garden Items to sell at the Eagan Farmer's Market. 02/15/2013 2 new books coming soon. 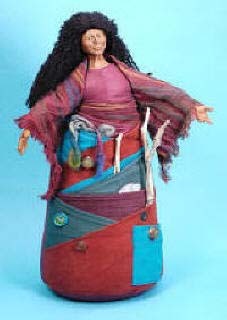 09/15/2012 The storykeeper doll pattern PDF is ready to download. Can be used with the Storykeeper Doll Pattern. 06/18/2012 We have obtained 4 of the older molds that customers have been requesting. They are mold-11, 1 1/2" hands, mold-17, 2" head, mold-18, 2" boot, and mold-20, 1 3/4" angel face. We have a limited quantity since they are no longer in production. 05/23/2012 We have updated and reissued our 1991 instructional vhs videos, Vol-1,2,4, and 5 to DVD format. 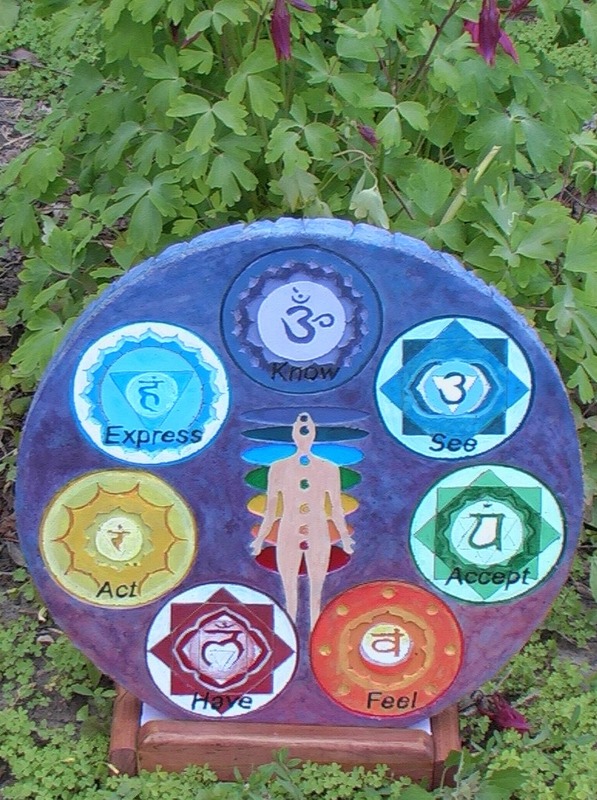 05/12/2012 Dan' new Chakra stone with wooden stand for upright display. 12/24/2011 Maureen is planning to have more push molds designed this winter. 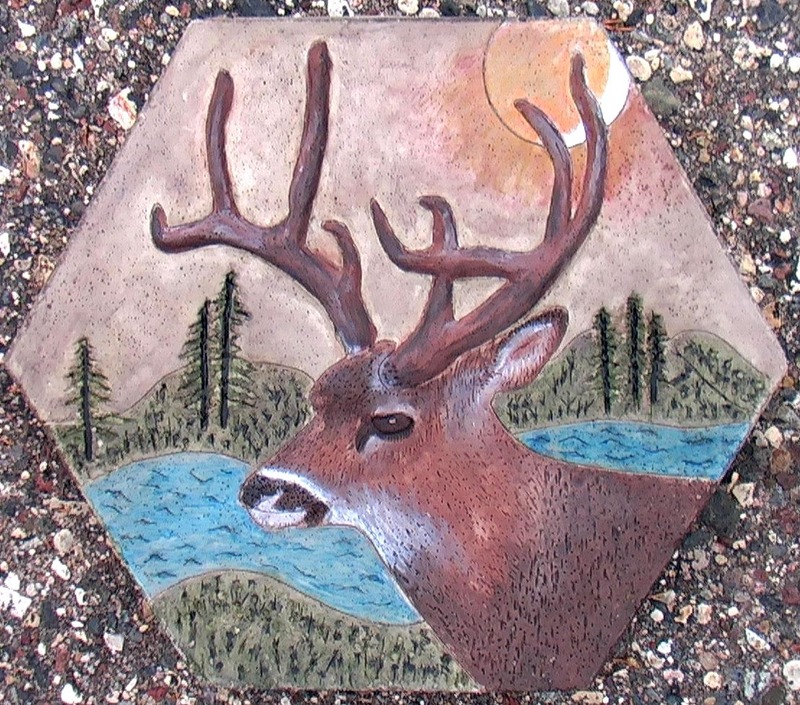 Get your wildlife stones here. 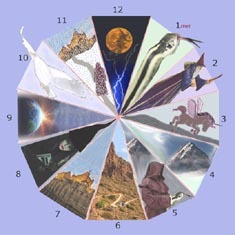 Get your own astrological sign in a Zodiac Stone. Special Stepping stones just for kids. 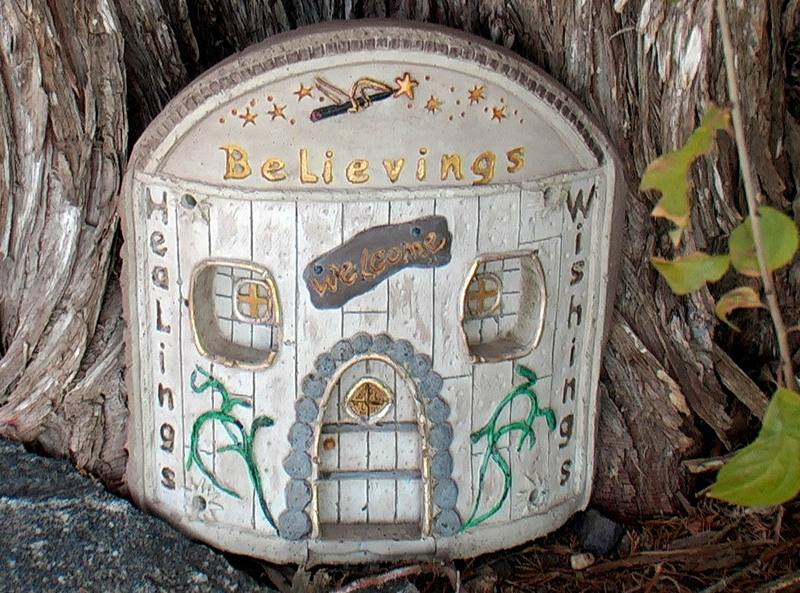 A new collectible line from Maureen called Angel Folk, due later this year. 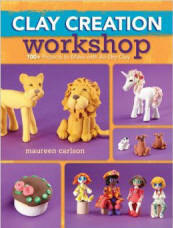 Closeout of Maureen's book, Imagine your World in Clay(A8905), has been reduced from $14.99 to $7.95. We have reduced our prices on our latest flexible push molds. Mix/match quantity prices have been reduced, especially for those of you who teach and want to have the molds available for your students. There is also a quantity discount on the pfdvd. Maureen's new 2009 classes are now online and you can reserve spaces now with our new class registration program. Happy New Year! And in this year there will be many new things on the horizon. An automated class registration and bed availability program will be here as soon as Maureen's new classes get uploaded for 2009. 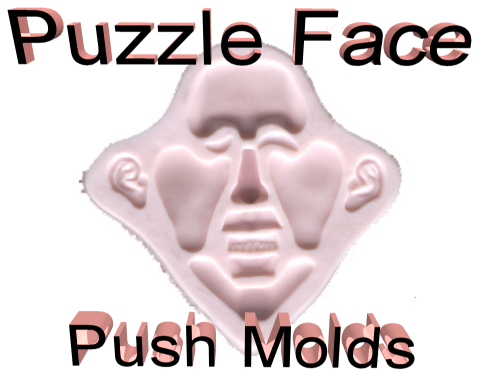 Also a new line of Angel Folk is coming soon, and more rubber push molds. Here's a toast for an exciting year, in spite of all the bad economic news. We all may be hurting, somewhat, but we can still have a good attitude, can't we? 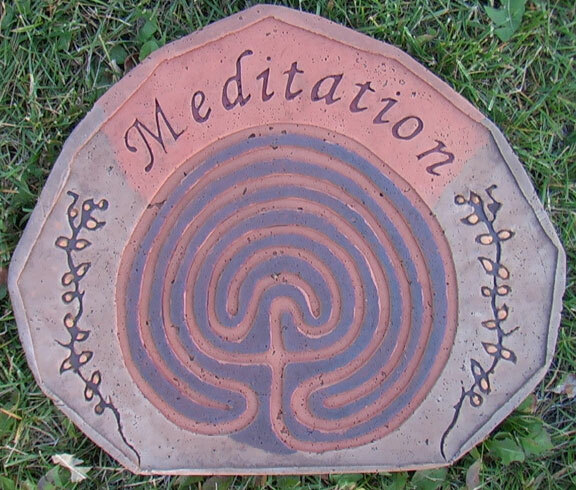 11/03/08 Dan's made a special stone for meditation. 10/29/08 Dan's new song: Power Lyrics This is pop/rock. A bit off the kilter from Dan's usual style. 10/25/08 Dan is now making his Stepping Stones into plaques made from CreaStone. 06/04/08 A $5 coupon code(cc) will be hidden in our June's newsletter in the format: cc=??????. When you order a minimum of $30, on line, just enter this code in the email order form to get $5 off for that month. 01/09/08 A new category on our home page "Closeouts" will have sales and closeouts on our inventory. 12/21/07 The Friar and Sister dates 2007 ornaments are now on sale for $4.50 each, previously $8.00 each. 12/11/07 For you collectors out there, we have found 1 Daphne Anne, Pippsywoggin item P110 for $48.00. 11/15/07 For you collectors out there, we have found 1 Effie Lu, Pippsywoggin item P121 for $56.00. Remember, she's the one in the terracotta pot looking out. 10/05/07 Dan has made a music video about P-nut, his new dog. Closeout of all Mug Huggers for $5.00 each, originally $15.00. 09/10/07 Preorder Dan's 3rd CD for $8.00, regular price: $12.97. An audio commentary has also been added for his first CD. 08/23/07 Dan has started his 3rd music CD with "Worry". 08/16/07 Dan has added an audio commentary about his second CD. The new items are on order and hopefully will be here in 1-2 weeks. I'll ship as soon as they arrive. 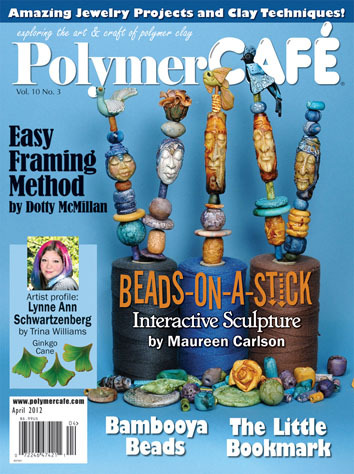 05/22/07 On line streaming video for sculpting a realistic face is now available here. 03/30/07 How-to Video on using push molds. page. Also the symbol a/v will show up on a leaf if there is an audio or video included for that category. 03/21/07 "A Road Trip to Maureen's" video is now available to play. 03/19/07 Pip Greeting cards are now available. 01/11/07 New sculptures in Maureen's Gallery. and new web pages in Maureen's website and 2 new sister folk. 10/23/06 Molds #9, 11, 15, and 21 are again (limited time) available. 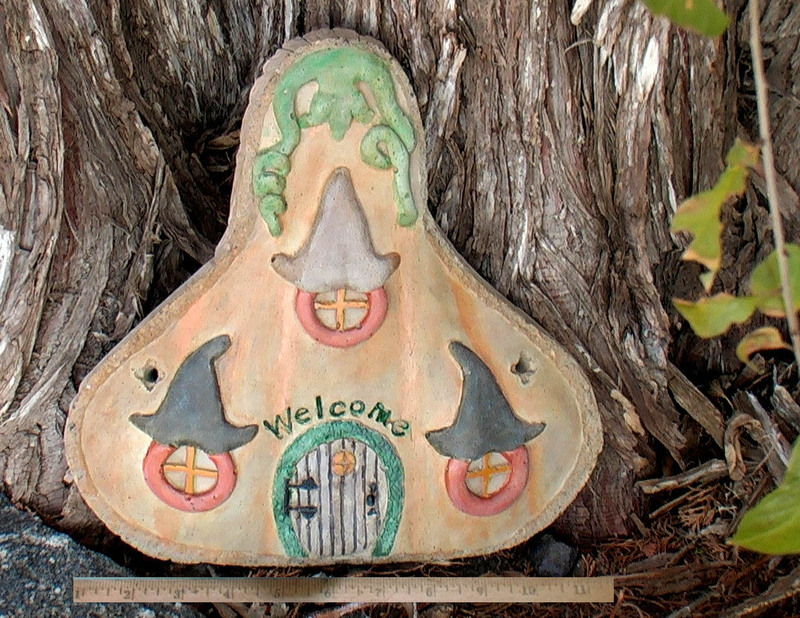 Also pictures of the secret door and the gnome that someone will win with Maureen's new book are pictured.